lets bury the hatchet. sorry for the crappiness veiwers. yes, i'm a he/d shipper, you have a problem? YAAAAAAAAAAAY! draco is as cute as he is good! wow! this rox!!! 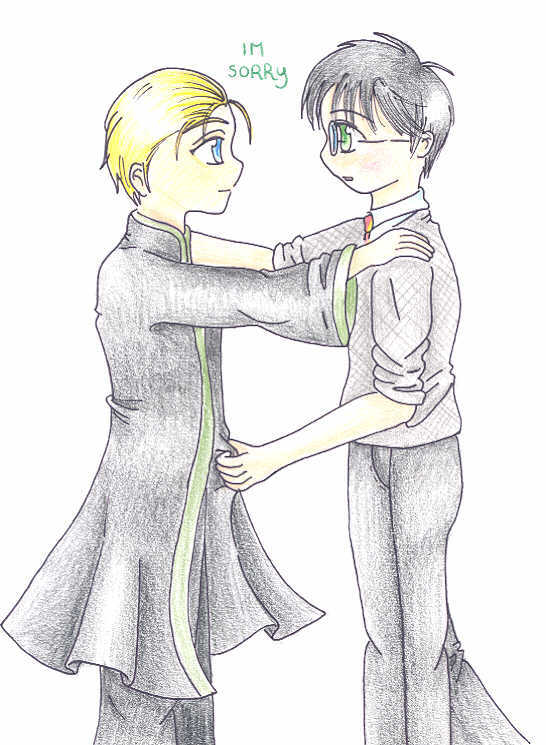 tho i can never imagine draco apologizing to harry...hmmm it cud happen i spose!! ^_______________^ but anywayz, this is really awesome!!!!!!!!!!!! nice job! *gives u a cookie and a hug* lol! !